Heavy duty Green U.V. 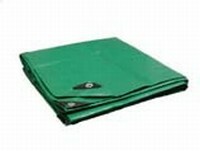 poly tarps are used for sun protection and water proof. Our Green tarps are ideal for Canopy & Awning, Roofers, Farmers, Lawn Services, Lumber Yards and many other uses for sun protection and water proof.